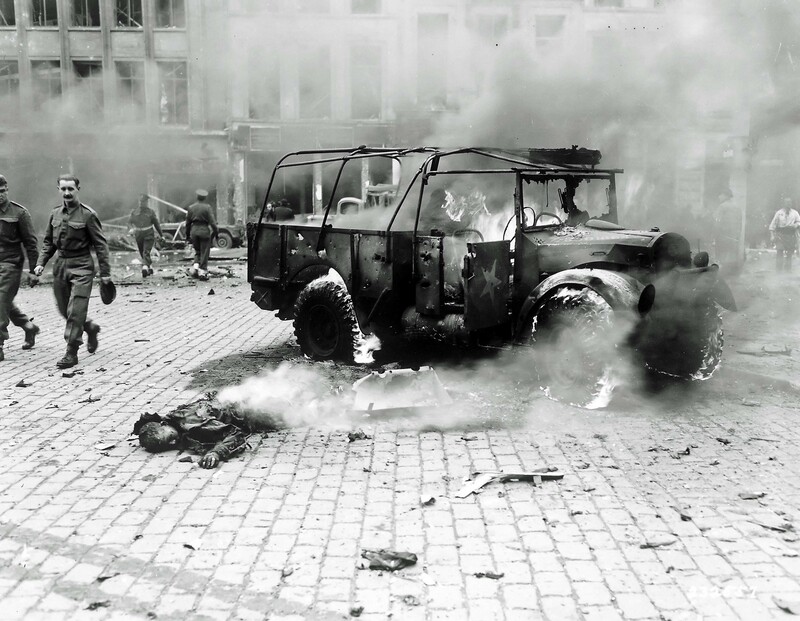 The victims of the German V-2 (Vergeltungswaffe-2) cruise missile hit the city square in Antwerp. In the foreground is the burnt body of a murdered Belgian boy. Source: NARA National Archives and Records Administration.